Here’s wishing all my friends, family and blog followers have a safe and happy holiday. Whatever holiday you celebrate, try to find some common ground, set aside differences, enjoy your time together, share a meal and a laugh. 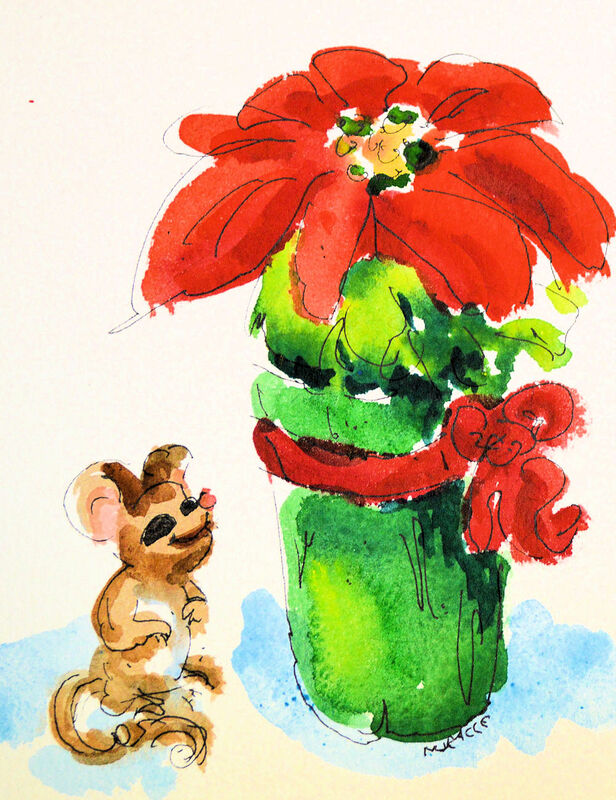 This entry was posted in pen and ink, watercolor and tagged kit miracle, mouse painting, pen and ink, poinsettia, watercolor. Bookmark the permalink. Thank you much. It was a great Christmas spent with friends and family. Now the really cold weather has arrived and it’s 7 degrees (F) outside! Won’t be any mice stirring today.